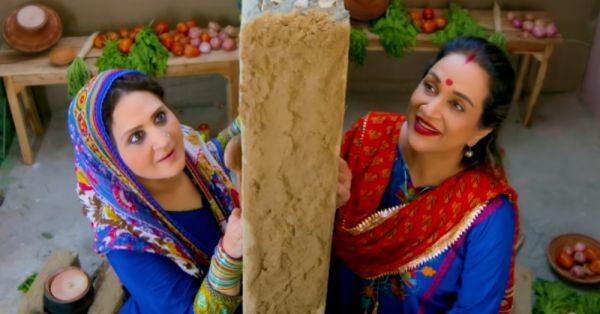 Pakistani actresses and sisters, Bushra Ansari and Asma Abbas along with their writer sibling Neelum Ahmed Basheer, have made a music video titled Humsaye Maa Jaye (neighbours born to the same mother). This soulful rap song questions the confusion amongst the common people in Pakistan and India who are caught in the tensions between the two countries. This video was shared a week ago by Bushra Ansari on YouTube and has caught on like wildfire on Twitter. If you haven't watched it yet, we should warn you that it will leave you with a thought! We aren't the only ones loving this sweet story of friendship. Twitter has a lot to say about these singers and their message. 1. It Made Us Emotional Too! 6. Love Is In The Air! Have you shared the video yet?